· Mexico’s Pacific Treasure set the stage for various productions and photo sessions during the month of July, among them the reality show, Bachelor in Paradise. The Riviera Nayarit’s beautiful natural scenery is so spectacular that it has served as the perfect stage for more than one feature film, and as the backdrop for photo sessions and film commercials. The scenery itself at times becomes the protagonist. The destination will enjoy ample circulation in different media with the last tapings of the fourth season of Bachelor in Paradise, the number one reality show in the United States airing on ABC. They were shot on location in Playa Escondida in Sayulita; San Francisco (San Pancho); La Cruz de Huanacaxtle, Valle de Banderas and Canalán beach at El Monteón. The cast of this fourth season is made up of the audience’s favorite participants from previous seasons. The production team is comprised of a total of approximately 250 people. ABC is one of the top four broadcasters in the United States, while ABC.com has over 77 million unique monthly visitors, with 2.4 billion monthly page visits. Finally, Bud Light taped its new advertising campaign on the beach at San Pancho from July 16-19. This micro destination’s natural beauty was put on full display, including its magnificent waves, perfect for surfing. The Riviera Nayarit Convention and Visitors Bureau (CVB) and its Public Relations office were on-hand at each event, lending their full support. 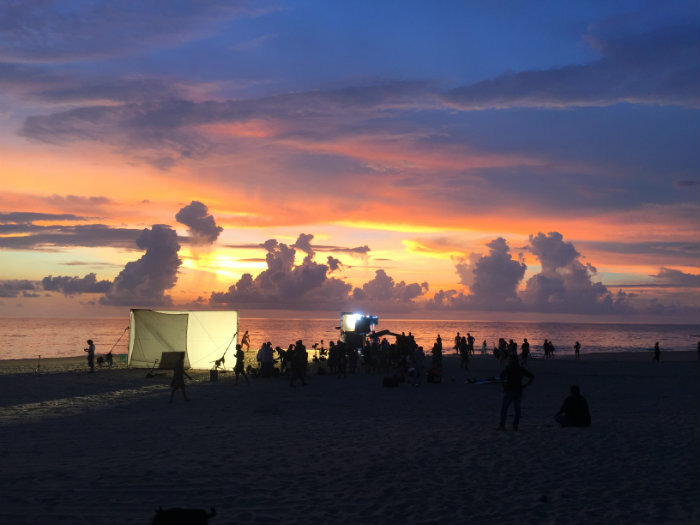 The Riviera Nayarit Film Commission, part of the Public Relations department, has as its objective to drive the State’s movie industry using the destination’s natural scenery. This commission offers a series of services for directors interested in filming their next movie in this destination. Over a hundred movies, including the well-known Beverly Hills Chihuahua, Limitless, and Elysium; as well as TV shows from top broadcasters including Univision, Telemundo, Televisa, TV Azteca, Canal 40, BBC, The Discovery Channel, National Geographic, MTV, NHK Japan, ESPN, and the Redneck Island Reality Show; plus a large number of music videos and TV commercials have been filmed in the Riviera Nayarit.